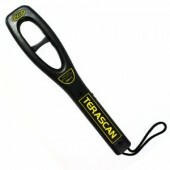 Do you know anything about a handheld metal detector and in what situation it can be used for? 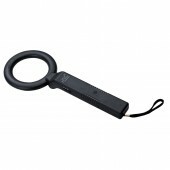 Then after having a basic knowledge of this Super High Sensitivity Hand Held Metal Detector you will know. Except owning high sensitivity, this handheld metal detector also owns unmatched streamline shape and wireless transmission charging. Besides this model is a sensor type and it can be recharged and aiming at high-end application. This handheld metal is really a perfect product for it possesses innovative structure design and had taking into consideration of operation convenience and hand grip details, which it truly a big merit. 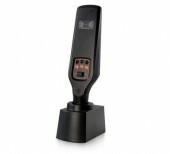 And it won’t miss detecting for it has large detecting area, extra-high sensitivity, simple and easy operation. What’s more it has been designed with anti-slip handle and screw type battery cover, which makes your using more convenient. These are just part of the advantage of the handheld metal detector, if you want to know more detail information and buy one, just come here and contact us. You will be satisfied with the high quality and cheap product here! Security check: Prevent carrying prohibited goods, such as knife, gun, etc. Education territoriality: Prevent carrying cheating items such as mobile phone, electronic dictionary, ect. The service of your clerk is really thoughtful and it is a happy purchasing experience for me. Thanks a lot. As an old customer of yours, I have bought this product several times, it is really good in quality and the price is not expensive. Cool design and easy to operate.